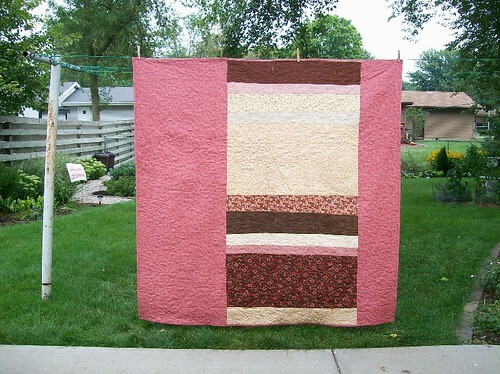 The Neapolitan quilt is officially finished! Mom finished the binding for me while I wrote up the pattern. Woohoo! I even created the pattern as a PDF file, and I’m thinking about listing it on Etsy. Am I getting ahead of myself? Do I care? I like this whoopee! feeling. Thank you so much, Jen! In fact, I used your Seamingly Accurate tool for the waves! It was SO much easier. I love it!! Great job!! 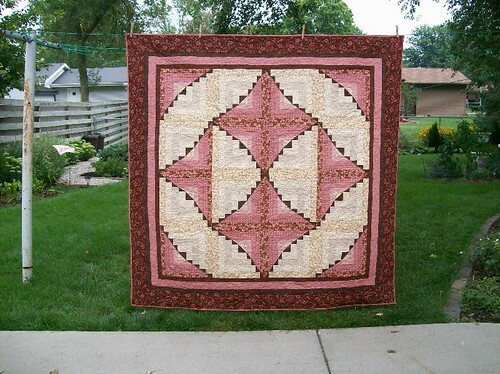 The quilt is beautiful – gorgeous colours, and I love the pieced back. Well done! That is really beautiful. I love what you’ve done with the back as well as the fabulous front. This is beautiful. Is the pattern available to purchase?